In this article, we ponder and briefly explore answers to the question: "Just who is using the open source web Content Management System (CMS), Joomla!, to "power" their websites? At the time of writing this update, type the word "joomla" into Google.com, and you Google returns about 140,000,000 pages. Even after quite a roller-coaster road of development changes, Joomla is still one of the most popular web Content Management Systems for discerning users who want to create secure, highly flexible, professional websites. Arguably, smart smaller companies, organizations and individuals have been building and using websites powered by the Joomla Web Content Management System for some time. However, Joomla has indeed been "discovered" by well known brands across the globe, who want more website power, flexibility, greater security. Currently, and thankfully, Joomla is not the Number 1 most popular web content management system today. That means, Joomla CMS tends not to receive as many attacks from hac*kers, as perhaps does WordPress. In this author's opinion, the latest versions of Joomla - from version 3 - include superb, significant security improvements, so are easier to make more secure than current and recent versions of WordPress - a baby that requires considerable additional work to make "sufficiently web safe" in 2015 (IMHO). At the time of writing this update, Joomla is at v3.8.10, with v3.9 and v4.x, just around the corner. With the emergence of Joomla v3.4.1, in this writer's opinion, the remarkable Joomla development team arguably created the best content management system ever! The follow-on versions built on and expanded Joomla better, stronger, faster, and more robuts. And much, much more to come. We have discovered that with some additional tweaks and changes, we can create remarkable website properties containing all the key elements required to grow and expand websites, securely, safely, with speed and finesse. However, for this strategy to work best, you must make sure your Joomla website is kept up to date. Furthermore, with thousands of pre-built extensions available, we can all customize Joomla websites even further. If you need something highly specific, you can contact one of the many Joomla developers that are standing by ready to help you. For my own experiences, I've found that I can more easily make Joomla websites more secure than for other web content management systems that I've tested. In the similar way that organizations like Formula 1® create high performance, finely tuned racing cars, using Joomla - for hugely lower cost - using carefully formulated "website recipes", we can create high performance websites that effectively engage with visitors and users. Joomla is now being used by artists, writers, web hosting companies, governments, Members of Parliament, corporations, car makers, orchestras, airline companies, mobile phone makers, sports providers, television networks, and many more. Below, we have a brief "taster list" of small, medium and large companies and organizations who, at the time of writing of compiling the list, took the wise decision to use the Joomla web Content Management System to drive their websites and so arguably, provide a richer, more engaging user experience. Since writing this article, many millions more websites have been created using Joomla. If you've been wondering whether Joomla is sufficiently powerful or versatile for your web business, don't take my word (I'm already biased toward Joomla :-), instead, why not explore the website links below to see how others are using Joomla to improve their products and services on the Web? Governments and government departments can have strict performance requirements in relation to website security, flexibility, stability, speed, etc. With those factors in mind, at the time or updating this page, Joomla is used on at least 3,277 government websites across 204 countries *. Joomla Community. Learn more about those savvy website providers who have chosen the Joomla route to prosperity. Joomla.org - of course, the home of Joomla. Where the magic happens. Open Source Matters - the wonderful non-profit organization set up to support the Joomla Project into the future. Akeeba Admin Tools - without doubt, one of the most powerful website protection options available. Akeeba Backup - probably one of the best, most flexible and powerful website backup solutions for Joomla websites. If you prefer to take control of your own website backups - and you should - then Akeeba Backup might be just what you want. Like all powerful solutions, you can perhaps recoup much more than you might think by studying the documentation. Alledia.com - an excellent website that explores how to master search engine optimization for Joomla-powered websites. In fact, some of the source links for this article were gratefully discovered at Alledia.com. Anadolu Agency - Anadolu is currently the largest news agency in Turkey and one of the main global "wire services" with 28 regional offices and 22 bureaus in countries outside of Turkey. Angelica - a health car services corporation. Arizona Prosecuting Attorneys' Advisory Council: APAAC - another engaging and comprehensive website. While APAAC provides a range of services for prosecutors, its primary mission is to coordinate and provide training and education to prosecutors throughout Arizona. APAAC has a compelling mission: currently APAAC serves over 800 full-time state, county, and municipal prosecutors. Avis (Nicaragua) - the well known car rental company demonstrating a global reach. Beijing Olympic Orchestra - discover more about the Beijing Olympic Orchestra and the 2008 Beijing Olympics. Burger King - show the colorful side to burgers. Cyend.com - another superb secret corner of the web especially interesting to Joomla website providers. This developer provides a range of excellent website Themes, Components, Modules, and Plugins for Joomla websites. Danone - who said yogurt was boring? Clearly, Danone is famous for its yogurts, yet this website shows that it also covers a much wider scope. David Coy - a fascinating website of a fiction author with a fertile imagination, who enjoys the big outdoors, is especially interested "... to see what's eating what and what scurries away in terror!" Deep Purple - the official website for that iconic heavy metal rock band. Dolphin Lifts Kent - a prominent provider and reference resource for stairlifts and other mobility aids for users in the Kent and Surrey areas of the UK. Dolphin Stairlifts East Anglia - approved suppliers of stairlifts, homelifts and mobility steplifts for the less able in the Norfolk and Suffolk areas of the UK. Dolphin Lifts Scotland - yet another supplier of mobility products and services established to help people who can benefit from additional help in getting around their home and beyond. Epson Research & Development, Inc. - although world famous as a printer manufacturer, as their Joomla-powered research and development site shows, Epson cover a wide range of electronic products. IBS Software - an organization that provides software for airline companies. ICP Live Archive, Baylor University - another remarkable archive resource. iJoomla a well managed, high quality, website that provides a superb range of Joomla Add-ons and information about using Joomla. Moreover, since we use iJoomla.com add-ons here at InternetTIPS.com and for client websites, I can personally testify that iJoomla.com seem to have some friendly and helpful people. A real Internet gem. ITWire a popular tech news site from Australia, especially useful to people all around the globe who work in, or are connected to, the tech industries. Gavick.com - surely, one of the best Joomla and WordPress template and extension suppliers on the web today. Stunning, remarkable, well designed themes built by professionals who know how to create for today's web. Global Conservation Assistance - bridging culture and nature. InternetTIPS.com - yes, that's us here at InternetTIPS.com. We're guilty: Joomla converts to the core, though not be chance but through design. JetStar - a Quantas-owned airline. JoomlaContentEditor.net - if you want a more powerful web page editor than the default editor that comes with Joomla, then check out JCE. During the last few years, JCE has grown to become one of the most popular Joomla web page editors. JoomlaWorks K2 - a superb Joomla Component available as an add-on for a Joomla website. Currently, K2 Component is available free of cost and arguably adds enormous power and flexibility to Joomla websites. Laufer Center for Physical and Quantitive Biology, Stony Brook University - "The Louis and Beatrice Laufer Center is a hub for research in Physical and Quantitative Biology". One of their key goals is to advance biology and medicine through discoveries in physics, mathematics and computational science. Latvia - the official website of the Latvia. An interesting and informative website about one of the newest members of the European Union and NATO. Lunarpages - a well established web hosting company website. Mass Media Distribution Newswire - provides an impressive service that helps clients create web optimized press releases. Even their name and website title use optimized keywords. MassiveFPS - an online games portal website. Mitsubishi Venezuela - where cars are the theme. Mitsubishi Poland - more about Mitsubishi cars in Poland. Mountain West Sports - a highly visual website from the Mountain West Sports Network cable TV channel owned by CBS. Mount Carmel College of Nursing - a highly "pleasing" website that effectively puts over an inspiring message. Mountain Lake Properties North Carolina - a striking real estate and community resource focusing on areas around Lake Glenville, North Carolina. My Run Plan - a busy and popular website that "provides personalised training guides for every runner at every distance". Also includes run calculators and the Runcoach patented algorithm - a "web-enabled interactive aerobic training system". Nassau Guidance and Counseling - offering marriage, couples, family and general counseling for clients in the Long Island area, from profession therapists. NDS pro - a popular provider of products and solutions relating to stormwater management, efficient irrigation and water flow management for both residential and non-residential installations. Nick Clegg, MP - Nick Clegg is the Liberal Democrat Member of Parliament (MP) for the Sheffield Hallam district in Great Britain. Nikon Instruments - here, we can discover how Nikon are involved in more than just cameras and optics. Olympus - the Australian website for camera maker, Olympus. Another, naturally highly visual website experience created using Joomla. Online Dating Site Info - a website with web magazine look and feel. PeopleFishing - an online dating website for singles. PhoneClaim.com - helps you file, resume, or track an insurance claim online and get a replacement device in 24 hours. Portland Tribune - the popular and compelling Portland Tribune website includes comprehensive coverage of local news for Portland Oregon and surrounding areas. Porsche - the Brazilian website of car marker, Porsche. If fast and stylish cars are your thing, you'll find this website pure joy. Quizilla - an interesting website for lovers of quizzes, stories, polls, poems, lyrics and games. Part of Viacom International and the N-Network. Return on Behavior Magazine - another excellent magazine website. RocketTheme - probably one of the best Joomla web design template suppliers on the Internet combined with an unusually helpful and engaging membership community. Comes personally recommended by your editor! SanDiego.com - for all things San Diego. Choosing Joomla is yet another smart move for SanDiego.com. Emir Sakic - website of Emir Sakic: superb web programmer and Joomla add-on supplier. Highly recommended. Scandinavian Airlines - the official Crew Guide for Scandinavian Airlines. Sprint - here, cell phone company, Sprint, have set up an impressive customer feedback website. Texas Department of Motor Vehicles - a busy independently minded Texas government website. This website from the Lone Star State, USA, seems determined to make its mark. The Bridge - a website that explores the entire topic of European Integration. The Skye Guide - a simple, yet highly informative visual guide to the Isle of Skye in Scotland. Therapy Solutions New York City - a remarkable therapy and counseling practice that focuses on treating anxiety, depression, sexual compulsivity, alcohol / substance abuse, Al-Anon / ACOA issues, codependency / co-addiction, personality issues, childhood traumas, intimacy / relationship problems and career issues. Gilbert McCurdy, LCSW, treats adults and also has a specialty in working with the gay and lesbian community. Times Square - shows how there is more to the world famous New York landmark than many of us might realize. TNA Wrestling - at the time of writing, packed with action indicators from the word go, this highly visual, pro-wrestling website really makes a memorable impact when the Home page first loads. You would be well advised to think twice before taking a tussle with these folks. The United Nations Regional Information Centre (UNRIC) - yes, even the United Nations is using Joomla CMS. The United Nations Regional Information Centre (UNRIC) for Western Europe is a branch of the Global United Nations organization. An absorbing website with lots of information, news and updates. The Venus Project - a remarkable, powerful, thought provoking exploration into ideas for a better way of living beyond politics, poverty, and war. Touchstone Renard Management Consultants - serving the private and public sectors in Britain and around the world. UNRIC Web Magazine - a web magazine website for the United Nations Regional Information Centre for Western Europe (UNRIC). Vodafone - here, Icelandic mobile phone company, Vodafone, show how it's done using the Joomla web Content Management System. Visat - this Scandinavian TV and telecommunications company Danish website uses Joomla to create a highly visual, interactive website experience. Web357.eu - cited as: "Smart products for Joomla" - with good reason. Another great developer offering a growing range of Joomla extensions to help further configure and improve your Joomla website. Yamaha - if you're in Mexico and are looking for a musical instrument or a hi-fi unit, then Yamaha Mexico is a good place to start. YouJoomla.com - probably one of the most accomplished, well designed sources for Joomla web templates and Joomla extensions on the web today. The Honor Roll Joomla Core Development Team. In addition, if you already have some knowledge of Joomla, there are different search phrases that you can use to help detect additional websites that my go to greater lengths to mask their use of Joomla, but which are still nonetheless detectable. 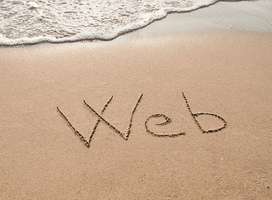 InternetTIPS.com specializes in creating content-rich websites using the Joomla web Content Management System. 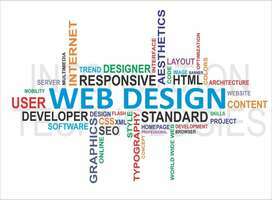 If you would like to explore how we can create a stunning, world-class website for you, contact InternetTIPS.com Customer Support Services. * ref: courtesy of Joomlagov.info.